Catch them on the road, on the trails, in major competitive races, or on a community ride through your town. It started with a couple guys, a genuine love for cycling, and some amazing NEPA roads and trails. Formerly racing under the name Veloce Elite, this hardscrabble group of cyclists brought their talents and passions together to build a future for cycling in NEPA. 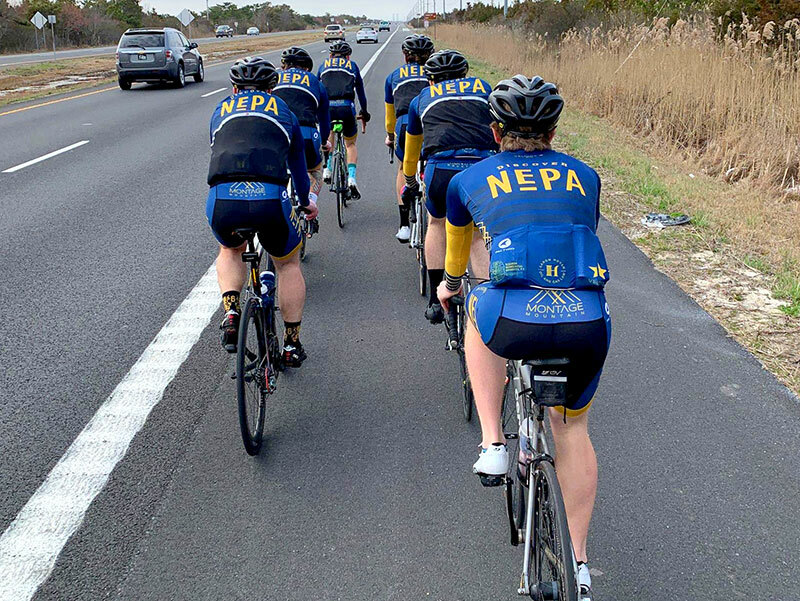 They come from different walks of life and from all over Northeastern Pennsylvania, and today, they make up the DiscoverNEPA Cycling Team. In the beginning, it seemed like there were only a few scattered clubs meeting up on weekends for rides. Quickly, however, other cyclists started to take notice, explains Aaron McNany, one of the founding team members. 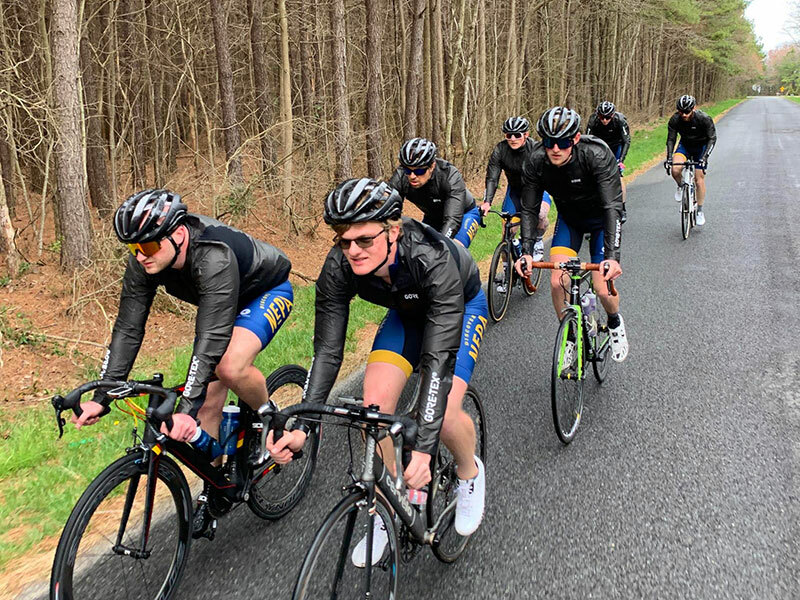 “It was really great to have the camaraderie, and it was energizing for the local cycling scene to have something new taking root.” The team became official. And as it started to grow, so too did their impact on the local cycling community. They began focusing more on racing professionally throughout the Mid-Atlantic region and developing competitive athletes right here at home. In three years, the team has competed in professional races up and down the east coast. Their disciplines are as varied as their backgrounds. Some prefer the road, others gravel and still others are all about the catch-all challenge of cyclo-cross. Together the 10-man team has racked up dozens of podium appearances and top 10 finishes in their first three years. This season will be their first wearing the signature DiscoverNEPA kit. The team is also sponsored by Montage Mountain Resorts, Aaron Hovan Oil & Gas Law, and Scranton Neurological Associates. They expect to represent Northeastern Pennsylvania at over 75 USA Cycling-sanctioned races throughout the year. And you can also catch them competing in non-sanctioned events like the ultra-popular Lu Lacka Wyco Hundo. Race fans can get up close and personal to the action with the DiscoverNEPA Cycling Team at three major local races: The Hardware XC – PA State Championship, The Pocono Road Race, and the Electric City Classic. Don’t miss one of NEPA’s most exciting, fastest-growing outdoor sports. Get your old bike out of the garage. Grab some new gear and perhaps a coffee at Veloce Scranton and August Coffee, the team’s home base. And if you’re up for it, join them on one of their community rides. 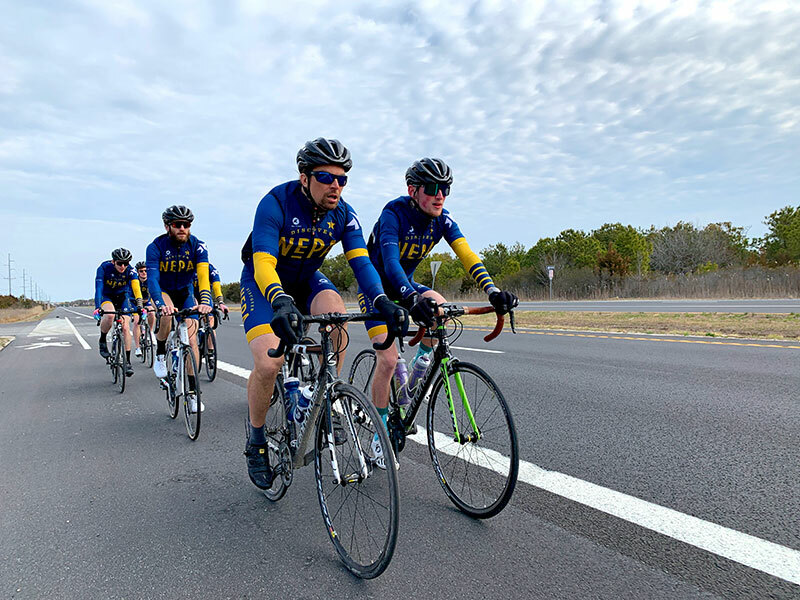 And be sure to keep an eye on the DiscoverNEPA Cycling Team as they tackle the 2019 race season.